We saw a pre-rendered trailer for Rovio's latest licensed game last month, though it wasn't much more than a trailer for the Dreamworks movie it's based on. Today you can download The Croods in Google Play for free, and it's a surprising departure from both Rovio's physics-based comfort zone and the source material. 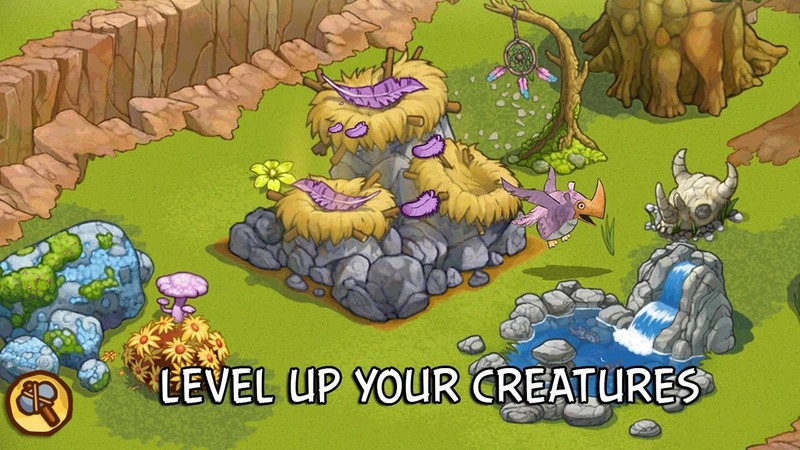 Based on the brief description and trailer, the game straddles the line between a Monster Rancher creature feature and the familiar Sim City/Farmville genre. 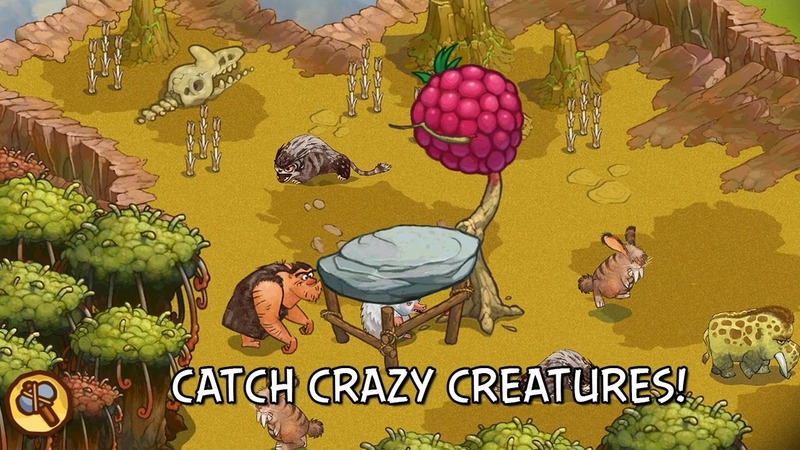 Gameplay consists of mixing agriculture with hunter-gatherer, as the father figure (Nicholas "not the bees!" Cage in the movie) traps and subdues various prehistoric creatures, while the rest of the cast builds and expands their one-family Bedrock. 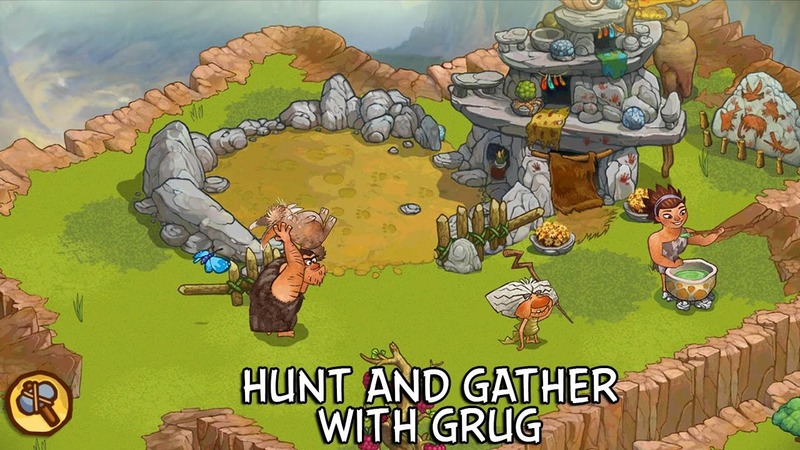 Grug (the guy in the Yeti-skin jeans) crafts new inventions to allow players access to new areas of the game. 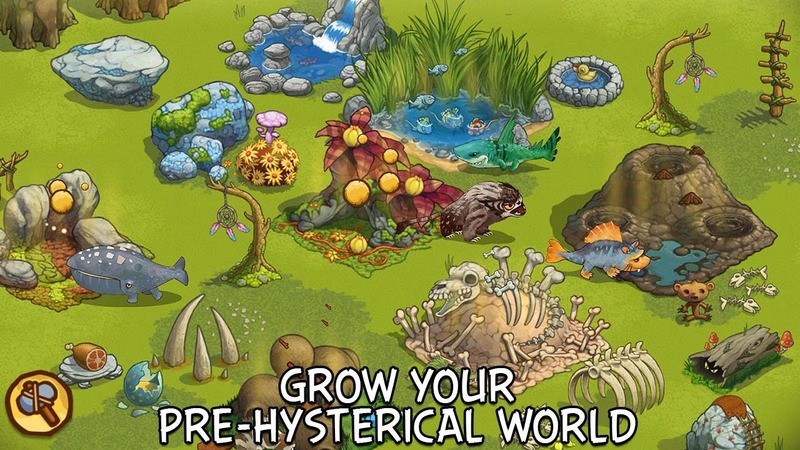 Unfortunately, The Croods seems to be pushing players towards in-app purchases more than any previous Rovio game - it's got the standard fremium technique of artificially rare resources that you can buy with real money. The graphics may be the most interesting part of The Croods. Instead of the primary kaleidoscope of previous Rovio titles, or the over-produced CG look so common to games based on kids' movies, the game goes with a watercolored 2D visual style. The animation looks pretty good too. It's hard to believe that The Croods will have the same impact as Angry Birds (and thank God, the fervor over the aggravated avians finally seems to be dying down) but making decent movie tie-ins to pay the bills in between more interesting games isn't the worst strategy out there.